GABORONE, March 24 (Xinhua) -- A pilot allegedly killed himself in a aircraft crash early Saturday night at Matsieng Aerodrome, some 30km north of Gaborone, the capital city of Botswana. 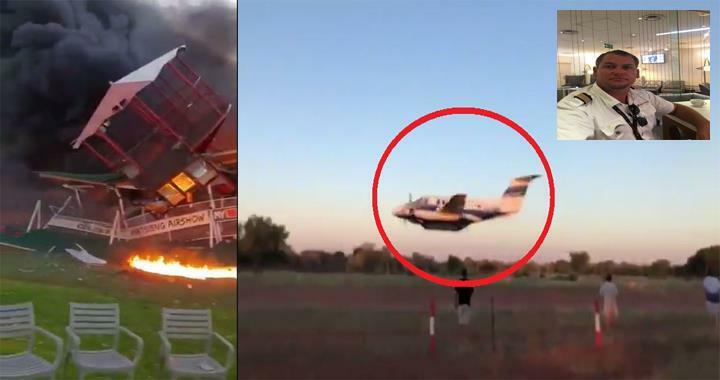 According to a statement issued by Matsieng Flying Club, it is rumoured that the pilot was involved in a domestic dispute with his wife early in the afternoon. The deceased pilot was an uninvited guest at a private function that was held at the Matsieng Flying Club facility at Matsieng Aerodrome. In the early evening, "the aircraft approached Matsieng Aerodrome from the direction of Sir Seretse Khama Airport and make a low level fly pasts from different directions past the Club facilities next to the Air Traffic Control tower," the statement said. The club facility and Matsieng ATC tower was destroyed on impact. Fire triggered by the crash also destroyed 13 vehicles parked nearby. "There was no serious injury to any person in the vicinity of the accident scene," the statement said.